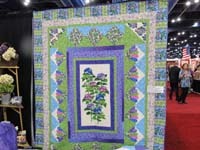 This one quilt is very pretty. I like everything in it. Colors, patterns.